Please let us know if your Parish will take up the challenge of Our Christmas Parish Appeal and help Iraqi and Syrian Christian families return home? If you want to be a part of this, we can send you fundraising materials. Please email [email protected] for further details on this Appeal. The civil war in the Middle East has displaced Christian communities in Syria and Iraq – and forced many into a life of poverty. But now thanks your generosity, ACN is supporting a rebuilding project which is helping Christians to return home in areas where the fighting has ceased and to reclaim their land and repair their bomb-damaged homes. It is so important for the Church to have a Christian presence in the Middle East – the birthplace of Our Saviour, Jesus Christ. So far just under 3,000 Christian homes in the Nineveh Plains have been repaired – a substantial number thanks to generosity of the Church. Still, their situation is anything but easy. There are still thousands of families wishing to come back home to start over and live as they did before Daesh (ISIS). It costs on average £7,000 to repair one home – this is an enormous expense and they need all the help they can get. 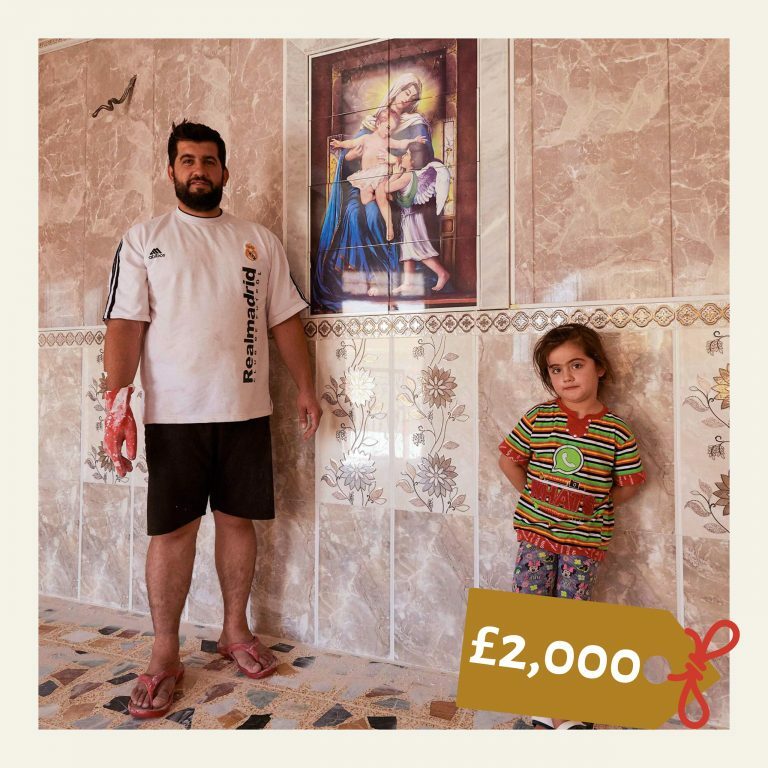 Your kind gift of £2,000 could contribute towards the cost of rebuilding or repairing a bomb-damaged home for a displaced Christian family in Syria or Iraq.